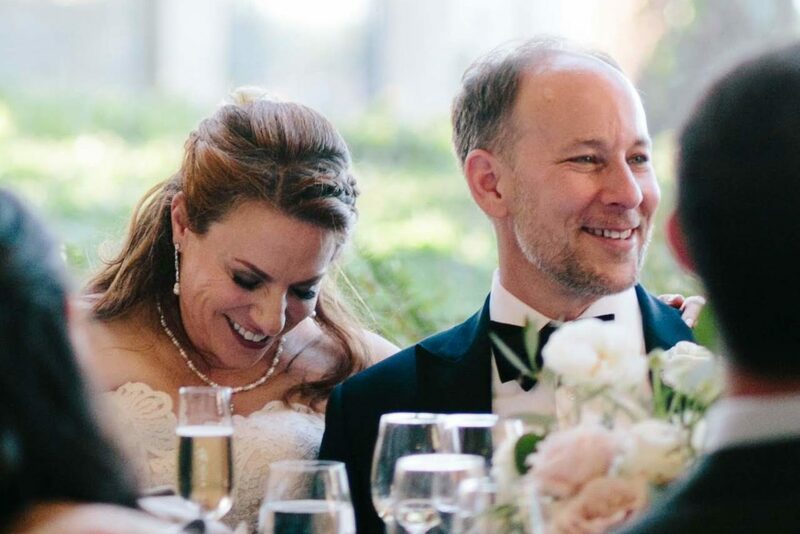 They were meant to be, but had to break up to find out – J.
Larissa Siegel was with a few colleagues at the Golden Gate Club in 2009, looking for a San Francisco site for the Jewish Community Federation’s Super Sunday event. She not only found the place suitable, but she also found a suitable man there — although that wouldn’t be fully evident until some years later. That man was Rowan Solomon, who does venue sales for the Presidio Trust and gave the visitors a tour of the site. While doing so, he showed enough interest in Siegel that both of her colleagues picked up on it. Once Super Sunday was over (she was senior development officer at the time), she felt brave enough to call Solomon and ask if he wanted to meet for a drink. Their first date was at a Marina wine bar in January 2010, and they clicked right away. Solomon, 53, is from Santa Cruz, and Siegel, 48, is from Menlo Park, but both were living in the city. The fact that he had two children was a plus for Siegel, who had never married yet always felt she was destined to be a mother. But Solomon had divorced recently and wasn’t sure he would ever be ready to marry again, and was honest about this from the beginning. She hoped he would change his mind. But when in May 2011 he told her he still wasn’t ready to commit, Siegel felt she had no choice but to move on. “That first year was really painful,” she said. “Even when we broke up, I was hoping that if I gave him six months, he’d realize he missed me, and us and our relationship.” But that didn’t happen, and more than four years went by. They both dated other people and ran into each other a few times, but never rekindled their relationship. In October 2015, Solomon felt healed from his divorce and started thinking about Siegel again and the special connection they had. Even though he didn’t know if she was in a relationship at the time, he went ahead and texted to ask if she’d meet him for a drink. She was floored, and gave it a few days before responding. But she says she figured she had nothing to lose. The first hour was spent catching up, and then Siegel finally got to the point. Why were they there? The San Francisco couple now refer to their relationship in two distinct periods, 1.0 and 2.0. 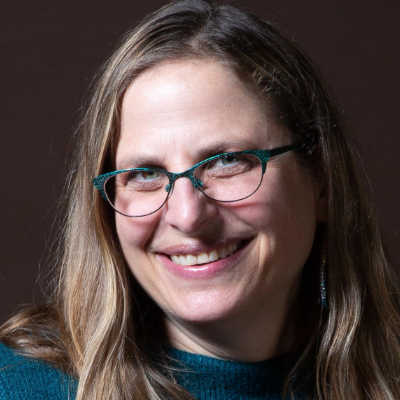 “I thought I knew in 1.0 that we were meant to be, and it turns out I was right about the guy, just not about the time,” said Siegel, who is now associate director for American Jewish World Service’s Bay Area branch. His surprise proposal came in February 2017, when the couple attended an event at a Napa winery where they were members. It was a special place for both of them, as they’d spent time there together during 1.0. An employee agreed to be Solomon’s co-conspirator, and she led them to a spot where they could take the perfect photo — and then promptly left them alone. It was there, in the wine cave decorated with roses and wine, where he presented the ring and popped the question. They married May 27 at the Golden Gate Club, in the very room where they first met. Rabbi Joshua Samuels, a cousin of the bride, officiated, with Solomon’s children, Asher, 15, and Talia, 13, joining them under the chuppah. Siegel’s Tibetan terrier, Mr. Buster Bravo, served as best dog and ring bearer. “I have to be the luckiest man in the world to have gotten a second chance to be with the person I was meant to be with the whole time,” Solomon said in his vows. Unions features a recently married couple with an interesting story. If you want to share your tale, or want to nominate a couple married within the last year, contact laura@jweekly.com.